The closing ceremony for Maulidur Rasul Shallalllahu ‘Alaihi Wassalam 1440H/2018M held in Brunei Hall, hosted by the Religious Committee of the High Commissioner of Brunei in conjunction with the birth of our beloved Prophet Muhammad a.s. took place on the 12 Rabiulawal 1440H/ 19 November 2018M. 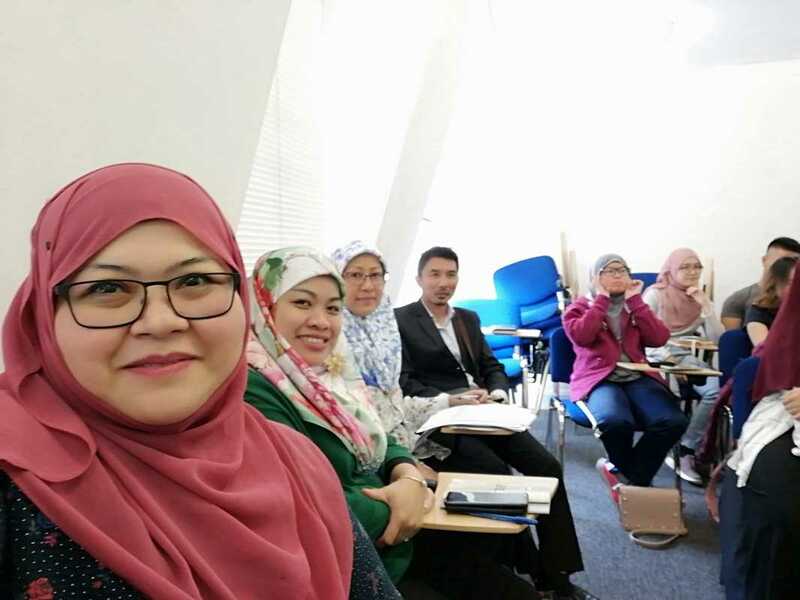 The guess of honour for the event was Yang Mulia Pengiran Hajah Rooslina Weti Binti Pengiran Haji Kamaludin, Acting High Commissioner of Brunei Darussalam to United Kingdom. The event started with the recitation of Sura Al-Fatihah by the Religious Officer, Yang Mulia Ustaz Isham Ismail who also led the Dikir Syarafil Anam which were Dikir Assalamu’alaika, Dikir Bisyahri, and Dikir Marhaban. The event ended with the recitation of Doa sempena Maulud Nabi. 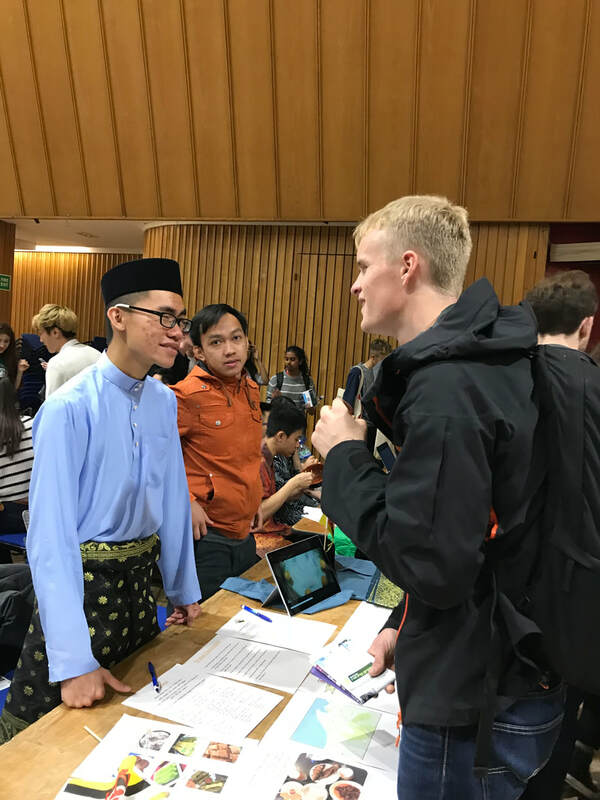 This event concludes a series of 12 nights organised in rotation between the Unit Penuntut-Penuntut, Brunei Investment Agency, Kensington Palace Garden, Brunei House, The Brunei Students' Union In U.K. and Eire, and Brunei Hall Students’ Committee. This year’s celebration was themed “Tarbiyah Rasulullah Membawa Rahmat Dalam Berkeluarga” (Lessons from the Messenger of Allah the Almighty) which upholds and reminds us to always learn from our prophet on how to face situations. 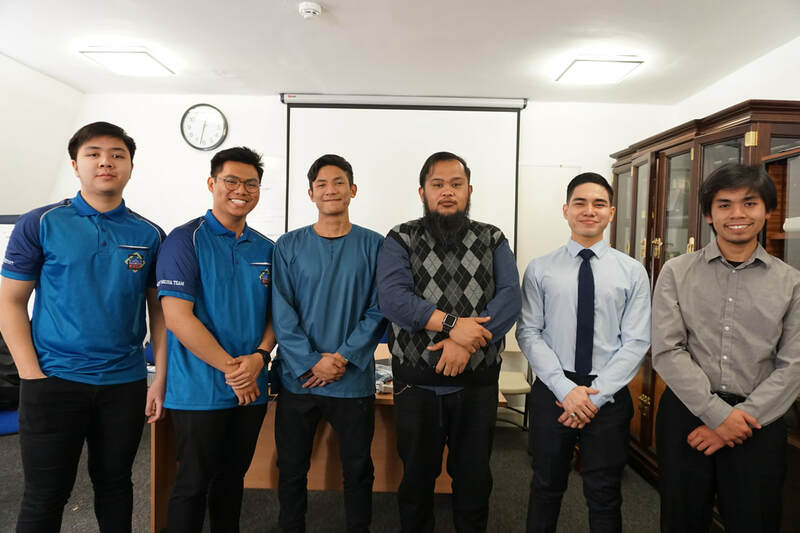 The Brunei Religious Officer Student Association (BruROSA) held its first Annual General Meeting for the academic year 2018/2019 last Sunday, on the 4th of November 2018, at Bilik Insyirah, Brunei Hall, London. The opening ceremony was graced by the presence of Ustaz Isham Islam, UPP Religious Officer as the Guest of Honour. 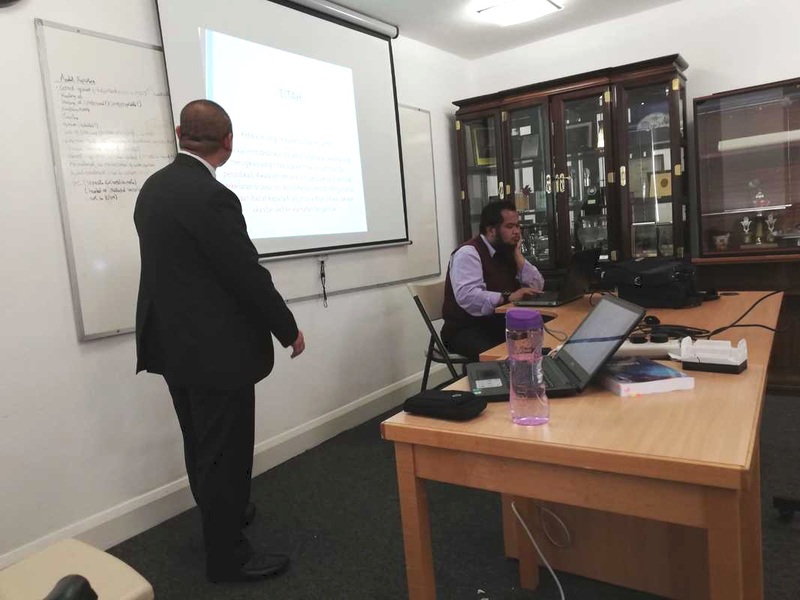 About 20 students who were also in attendance were mainly the religious officers from different Bruneian societies in the U.K. The event was blessed by the recitation of Surah Al-Fatihah by the President of BruROSA, Muhammad Aqil bin Awang followed by a short recitation of Surah Ali Imran Verse 103 by Ak Mohd Amirrul Syafiq Bin Pg Kasmirhan, a member of BruROSA Media Team. The event started with a welcoming remarks as well as a short presentation of BruROSA by the President. 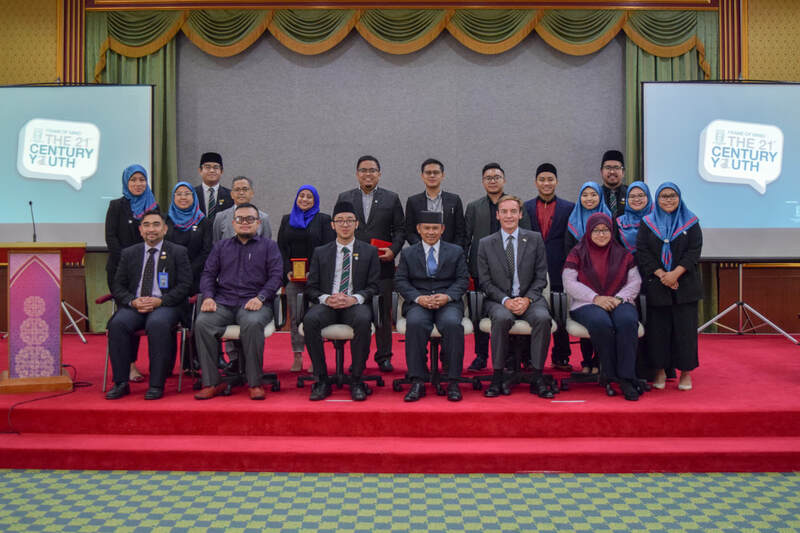 The Heads of Departments, Ak Muhd Fauzi Syahmi bin Pg Hj Salim, Mohd Azharuddin bin Hj Yakub, and Kamalia@Norjannah binti Kamalrulzaman for Media, Writing, and Entrepreneur Teams respectively had the opportunity to introduce their responsibilities to the Association. The rest of the presentation was led by both the President and Vice President, Dyg Siti Maisarah Zaliqah binti Hj Awg Ramli. Question and answer session that follows immediately after the presentation allows the attendees to bring up questions as well as suggestions on how to improve BruROSA. This includes a discussion on which Society should be hosting the Regional Khatam Al-Quran in correspondence with next year’s Brunei National Day, suggestions for possible Religious Officers trainings which include program Ta’ziz Ilmi in Brunei during summer break before the new academic year starts, and ideas on how societies can conduct Maulud Nabi as it is the next event coming up. As the last agenda of the meeting, Ustaz Isham made a short tazkirah on the issue of spreading viral content whereby Ustaz shared his thoughts and stories from the generation of Prophet Muhammad SAW and how He (Peace Be Upon Him) handled sensitive situations. The event concluded by a closing remarks by the President and recitation of Surah Al-Asr followed by a group photo session. 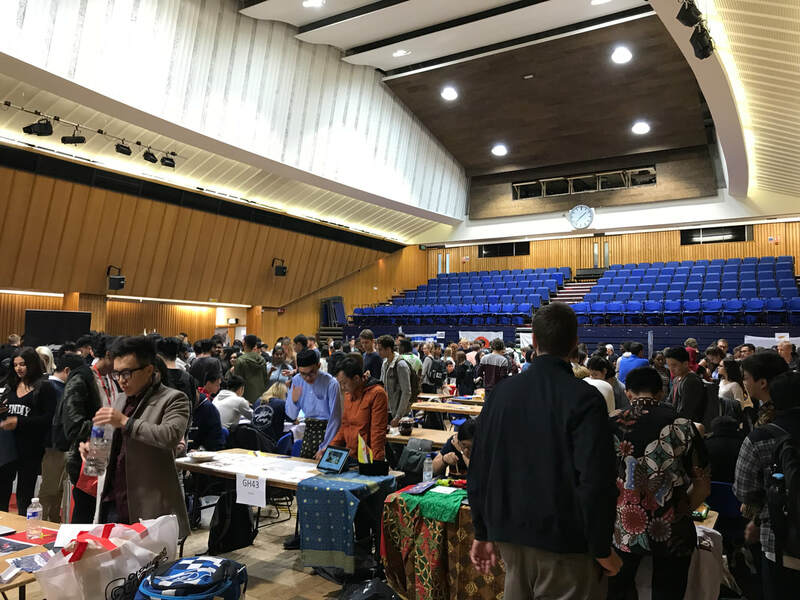 On the gloomy morning of 2nd October 2018, the faint bustling of movement as people move about to ready their booths was eventually met with a gradual increase in the buzz as crowds slowly poured into the hall. The clock struck 10am as the Fair has begun! The Fresher's Fair is an annual event in conjunction with the welcome week we have here in Imperial College London While most of the ‘welcome week’ is a measure for freshers to familiarise themselves with their campuses and their lecturers – the Fresher’s Fair is a day of celebration for clubs to showcase what they truly are about. 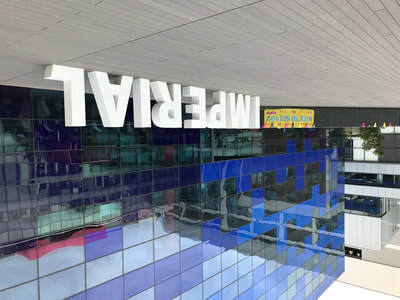 ​Annually, the fair is attended by more than 8000+ people where they are given the chance to learn about clubs varying in range from sports, art and culture. ICUBS is no stranger to the Fresher’s Fair and has made a returning appearance this year. 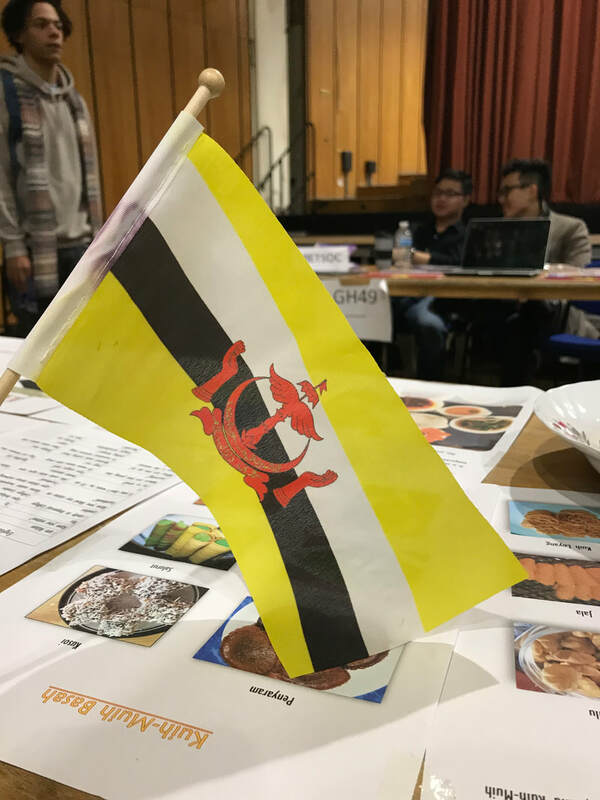 Whilst there are no major events to be hosted here in UK by ICUBS this year, we took this opportunity to introduce the Bruneian Culture to freshers attending the fair today. ​In conjunction with this, we have pulled together a mailing list for weekly fun-facts and a bi-annual magazine focused on Science and Culture in Brunei. 3 committee members of ICUBS came to host the booth namely Teo Zhi Perng, Muhammad Azharuddin bin Haji Yakub and Muhammad Nasrullah bin Mohammad Zamri. 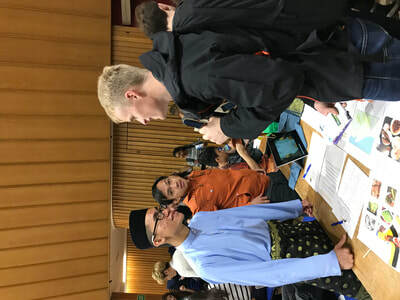 They talked to the freshers about Brunei throughout the fair and invited them to join our mailing list. The booth was met with good reception. Soon, the fair took a quiet turn as 4pm approaches and we soon pack away our booth and head for home. In the coming years, ICUBS hopes to bring more to the booth, in terms of decoration, conversation and culture to bring to the people. Afterall, we’re not the one missing out on the unexpected treasures laying in the Bruneian kingdom – it’s always time to talk Bruneian to non-Bruneians. 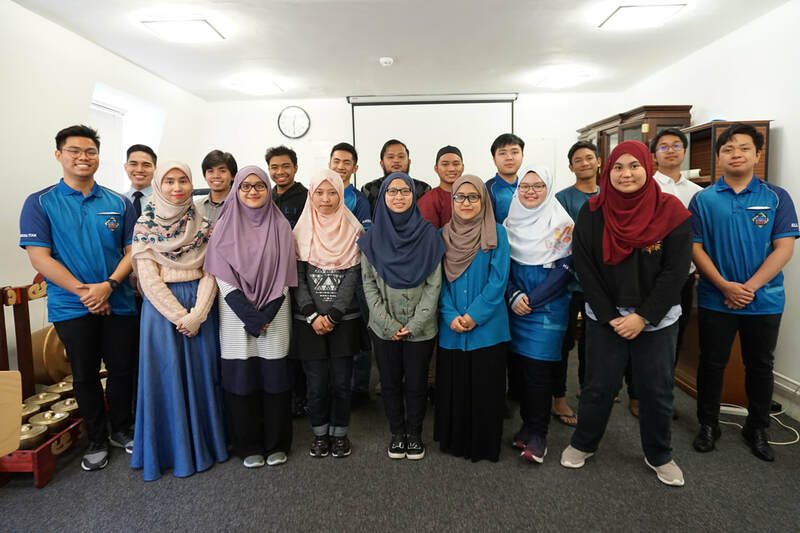 30th August 2018, Kuala Belait – More than 150 sixth form students of Sekolah Menengah Sayyidina Ali, Kuala Belait joined the final outreach program hosted and organized by the Brunei Students’ Union in the UK and Eire (BSU) and Brunei Religious Officers Students’ Association (BruROSA). The program took place in the afternoon, with a video produced by the BSU as an introduction and official start to the program. "Frame of Mind: The 21st Century Youth"
27th August 2018, Berakas – The Minister of Culture, Youth & Sports, Yang Berhormat Major General (B) Dato Paduka Seri Haji Aminuddin Ihsan bin Pehin Orang Kaya Saiful Mulok Dato Seri Paduka Haji Abidin, attended and gave a welcoming remark at an event organised by the Brunei Students’ Union in the UK and Eire (BSU) which was the 8th Presidential Conference with the theme “Frame of Mind: The 21st Century Youth” at the International Convention Centre (ICC). Invited to the conference were students from local institutions, as well as students studying in the UK and students from other international institutions. 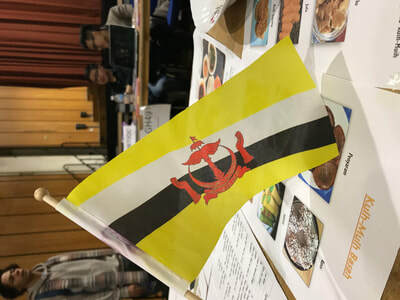 27th August 2018, Berakas – The Brunei Students’ Union in the UK and Eire (BSU) organized a forum and dialogue session between the high council of BSU and Brunei society leaders in the UK and Eire at the International Convention Centre, Berakas (ICC). Also attending the event was Cikgu Irmawati binti Haji Ahmad, former Director of Studies, Unit Penuntut-Penuntut Brunei. 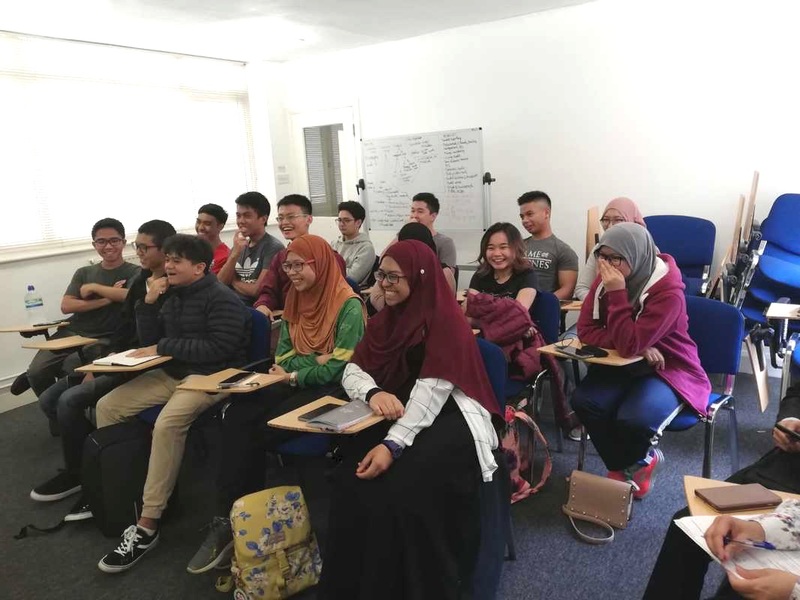 The aim of the forum is to increase communication and coordination between Bruneian students in the UK and Eire, through their representatives. BSU’s president, Ak Muhammad Hisyam Al-Yura bin Pg Haji Zainal Abidin started the forum by introducing the high council to the society leaders and audience present. Among the matters discussed during the forum were event sponsorship procedures, media promotions and regional coordination. Society leaders were also updated on the changes regarding societies standards and awards, which adopted a new system. In addition, mental health issues were also discussed during the forum, stressing the importance of students’ mental health, and providing help for students who needs it. The forum ended with a question and answer session, to provide more clarity regarding the things discussed. The forum allowed more transparency between the BSU’s high council and students through their society leaders. Following the forum, BSU’s 8th Presidential Conference with the theme “Frame of Mind: The 21st Century Youth” was held in the afternoon at the same venue, with invited speakers from governmental and non-governmental bodies to openly discuss matters about but not limited to, unemployment and entrepreneurship. 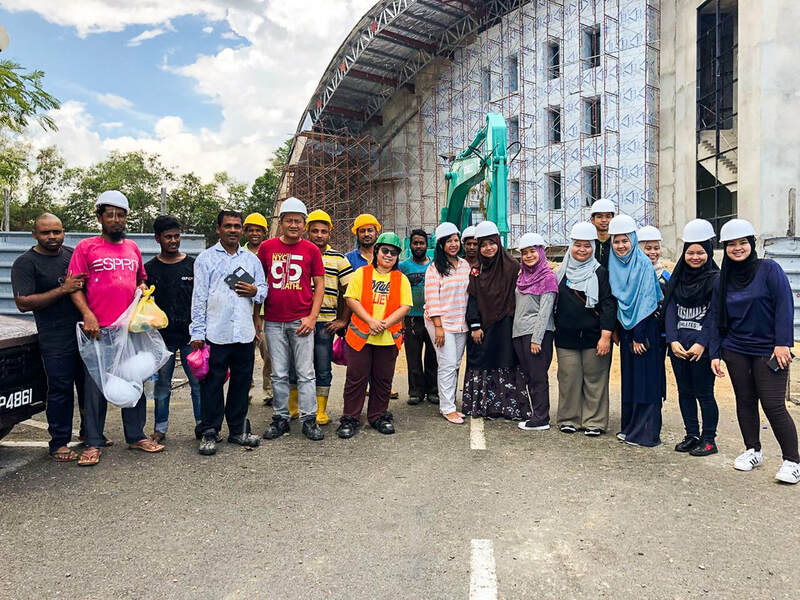 23rd August 2018, Tutong – The fourth stop for the Outreach Program 2018 “Encompassing Your Future: Ignite the Fire Within” hosted by the Brunei Students’ Union in the UK and Eire (BSU) and Brunei Religious Officers Students’ Association (BruROSA) was Pusat Tingkatan Enam Tutong on Thursday, 23rd August 2018. 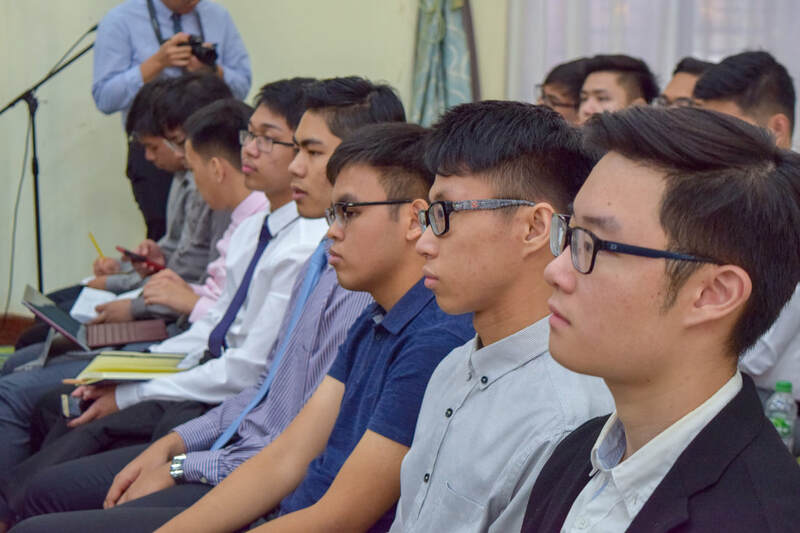 The core of the program remained the same, which was to promote a good mental and physical health while developing the capacity to realise their own potential and choosing their own future path, for sixth form students who will be sitting for their ‘A’ Levels. More than 100 students in their upper sixth joined the session which took place in the afternoon, at the Multipurpose Hall. The program started off with a recitation of Surah Al-Fatihah by Halim Anuar, the writer for BruROSA. This was followed by an opening remark from BSU’s President, Ak Muhammad Hisyam Al-Yura Pg Hj Zainal Abidin. The program officially began with an inspiring speech from Pusat Tingkatan Enam Tutong’s own alumnus, Teo Zhi Perng who is a recipient of the Sultan’s Scholar currently studying Material Science at Imperial College London. After his speech, the principal of Pusat TIngkatan Enam Tutong, Cikgu Hajah Murni binti Abdullah awarded the speakers with certificates as a token of appreciation. The other motivational speakers who took the stage were Shaimaa Rahman, BSU’s Vice President of Administration and Finance and Abdul Hakim Shukrin, the General Secretary of BruROSA. The students also took part in an icebreaking session and several mini activities led by Ajrul Mail, the Information Secretary of BSU. The day ended with a sharing session, which helped the students to know each other more and learn from each other’s situation as well as take any lessons they could get from the experiences of facilitators. 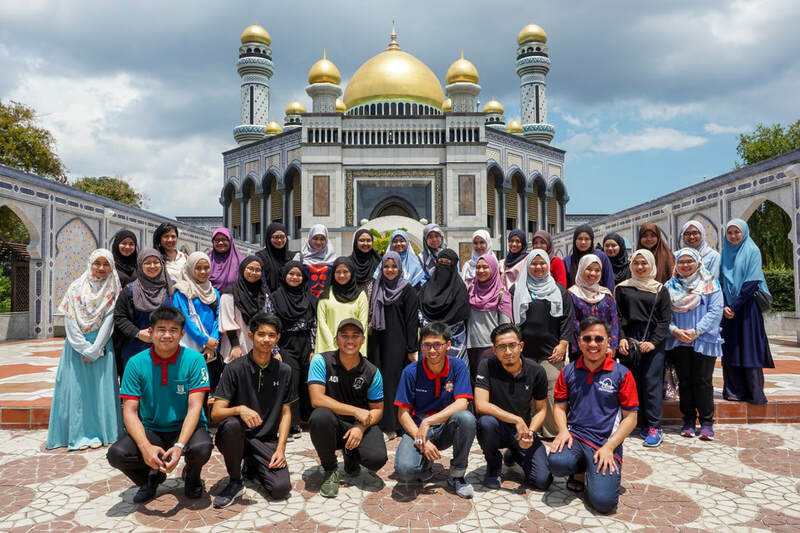 The program in Pusat Tingkatan Enam Tutong officially ended with a recitation of Surah Al-Asr, followed by a photo session among the students with BSU and BruROSA members, as well as their facilitators. After that, the Outreach Tour in Pusat Tingkatan Enam Tutong officially closed. 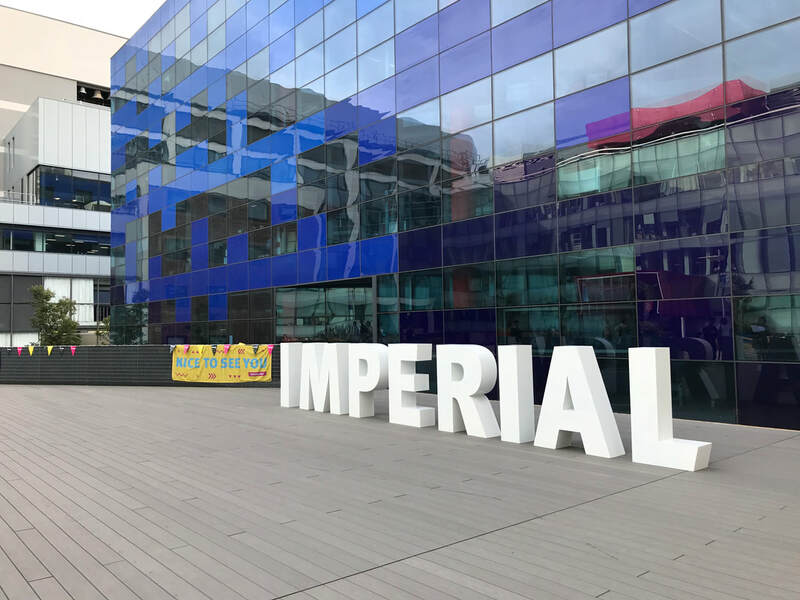 21st August 2018, Bandar Seri Begawan – The third venue for the Outreach Program 2018 “Encompassing Your Future: Ignite the Fire Within” hosted by the Brunei Students’ Union in the UK and Eire (BSU) and Brunei Religious Officers Students’ Association (BruROSA) was Maktab Sains Paduka Seri Begawan Sultan. The program lasted for 2 days at the school from 20th of August until 21st August 2018 and took place in the afternoon. The essence of the program remained the same, which was to promote a good mental and physical health while developing the capacity to realise their own potential and choosing their own future path, for sixth form students who will be sitting for their ‘A’ Levels. The students who joined were made up of more than 50 students, both in the upper and lower sixth. The first day of the program at the school started with a recitation of Surah Al-Fatihah, followed by a welcoming remark from BSU’s President, Ak Muhammad Hisyam Al-Yura Pg Hj Zainal Abidin. This was followed by an icebreaking session as warm up activity. 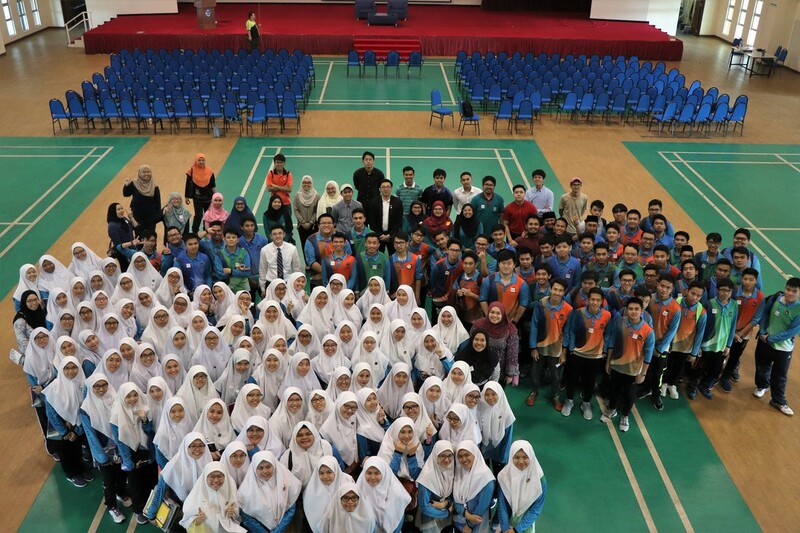 The core of the first day at Maktab Sains Paduka Seri Begawan Sultan were the inspirational speeches delivered to the students and the sharing session between the students and their facilitators. 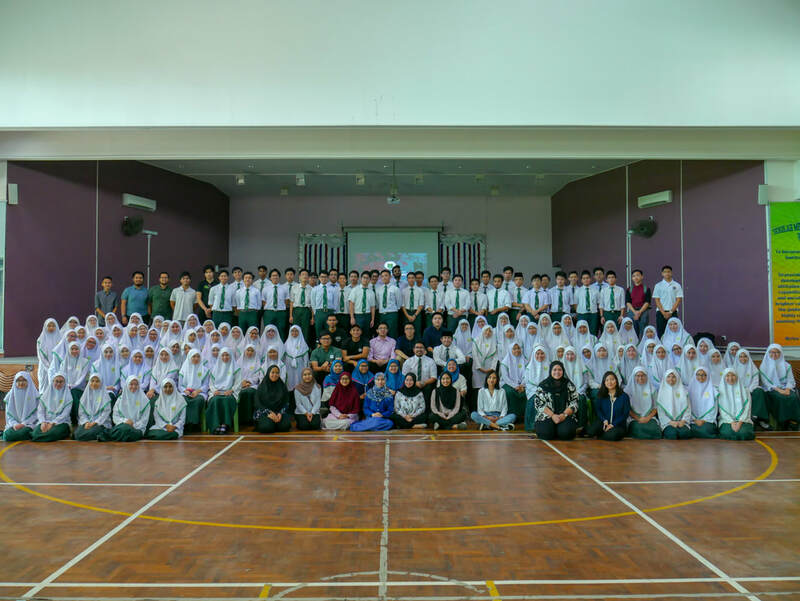 The people who delivered a speech on the first day were Shuib Sahraldin, Ajrul Mail, BSU’s Information Secretary and Siti Maisarah Zaliqah binti Awang Haji Ramli, the Vice President of BruROSA, who was also an alumnus of the school. The speeches acted as an encouragement for the students to find their own passion for their prospects and paths in the future. The first day ended with the sharing session, which helped the students to know each other more and learn from each other’s situation as well as take any lessons they could get from the experiences of facilitators. The sharing session was also a way for the students and facilitators to bond, which helped them for the ‘Amazing Race’ that took place the next day.